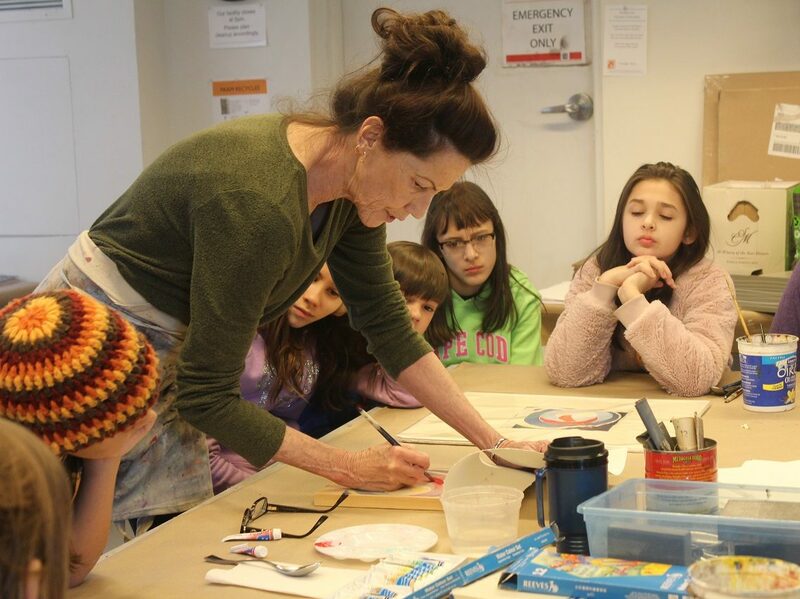 Art on the Edge is a Saturday program offered free of charge for youth aged 10-13 years old, that meets over two semesters in the fall and spring and culminates with an exhibition in PAAM’s galleries. Students from towns along outer Cape Cod work with professional teaching artists and explore a variety of media, from painting, printmaking, sculpture, and drawing to animation, comic books, and installation art. Up to 24 students may participate each semester. Materials, instruction and transportation are supplied. Students may apply for one or both semesters. PAAM’s youth programs are supported in part by the Massachusetts Cultural Council, a state agency; the Bilezikian Family Foundation; the Arts Foundation of Cape Cod; Ted Jones and Peter Petas; the Aeroflex Foundation; an anonymous donor; Shirl Roccapriore and Oils by the Sea Gallery; Cape Cod Five Foundation; Stop & Shop Provincetown, in memory of John Michael Gray; and Keith Hayes and Teresa Townsend. PAAM collaborates with the Provincetown, Nauset, and Monomoy School Districts, Cape Cod Lighthouse Charter School, Cape Cod Regional Technical School, and Cape Cod Community College to provide accessible, creative education programs of the highest caliber. Download a PDF to read about and apply for the program.